This is a Mountain Buggy 2013 mini stroller, chili, review, that aims to give you all the information you need to decide whether or not to buy this stroller for your little one. 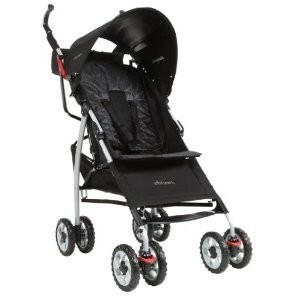 Don’t let the name Mountain buggy dissuade you as this is a stroller that is designed for urban dwellers. 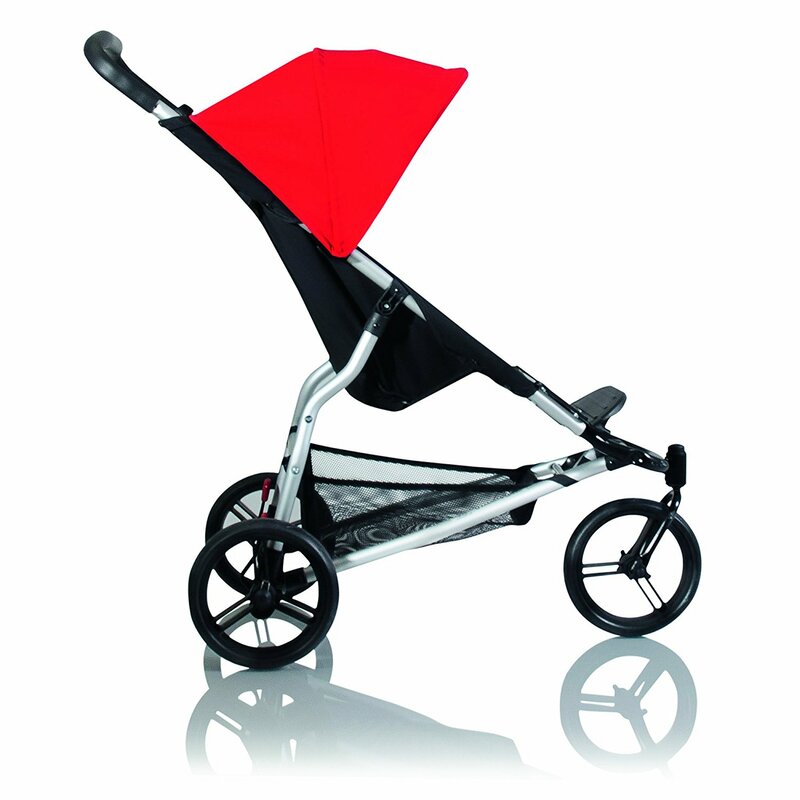 The Mountain Buggy 2013 mini stroller, chili, comes in an attractive colour (bright red the colour of red hot chillies!). 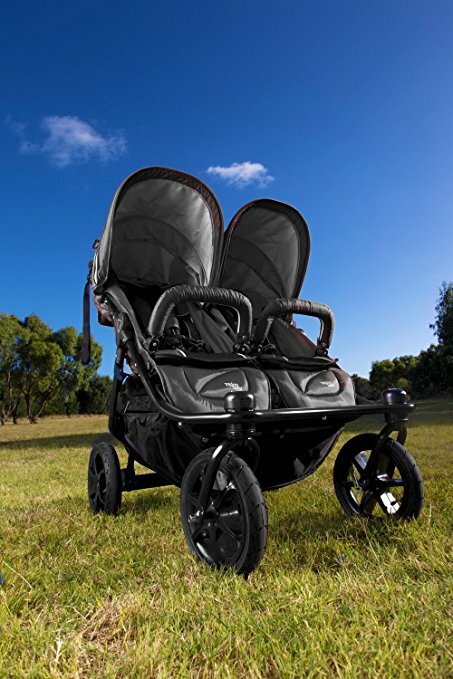 It is the most compact and lightweight stroller from the renowned company Mountain Buggy. 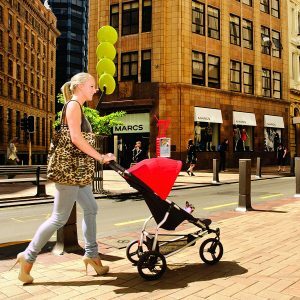 The perfect companion for all your city adventures with your child in tow, this stroller will ensure that both you and your child will have all the fun and comfort in the world even when strolling through city traffic! The Mountain Buggy 2013 mini stroller, chili, can be folded over really quickly with just one hand. 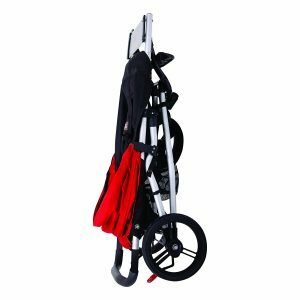 Once folded, it has an automatic frame lock that enables the stroller to be in a vertical, standing position, which takes up less space, making it easier to store in cramped city spaces, the subway, the bus, on escalators, etc. It also leaves your hands free so there is no need to prop it up when it is folded. 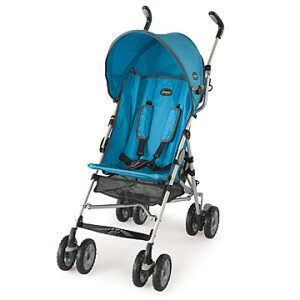 Usually, strollers come with heavy tires that are needed to ensure that the stroller is stable and grounded. But the Mountain Buggy 2013 mini stroller in chili, comes with unique tires made with Aerotech, a material that is blended from EVA foam and rubber. The tire is hollow inside so that your child enjoys the comfort of tires that are air-filled while you can enjoy the fact that the stroller has a great grip without becoming bulky, making it smoother to push around too. The fact that the tires and frame is lightweight makes the Mountain Buggy 2013 mini stroller in chili, easier to maneuver around curbs, and can be directed even with one hand. It can be swivelled around 360 degrees and has 10” wheels that are full size. The Mountain Buggy 2013 mini stroller, chili, is suitable for newborns to children up to 20 kilos, which means it is a worth investment for the long term. Its seat is fully adjustable and can be reclined fully. 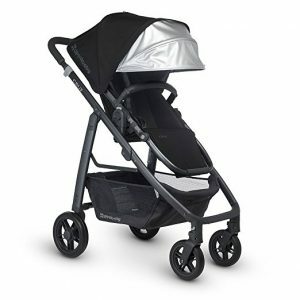 The stroller comes with a storage basket or gear tray underneath that is easily accessible and lightweight. This makes it even easier to store all the paraphernalia that you may be carrying around-whether it is a diaper bag or shopping bags. The sun visor is extra large, protecting your child no matter how sunny the day may be. There is a “peek-a-boo” flap is non-velcro, enabling you to peek in and take a look at your child. 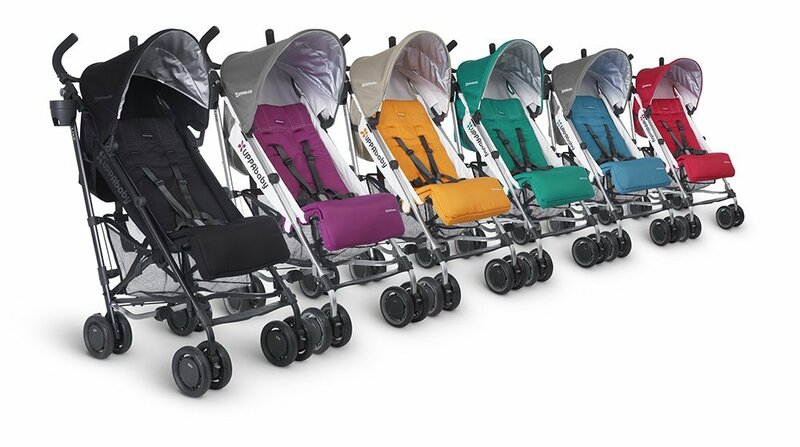 You can personalize your stroller with sunhoods that come in different colours, which can be purchased separately. You can also buy the storm rain cover, which is an optional accessory. This will ensure your child is safe in all weather conditions. 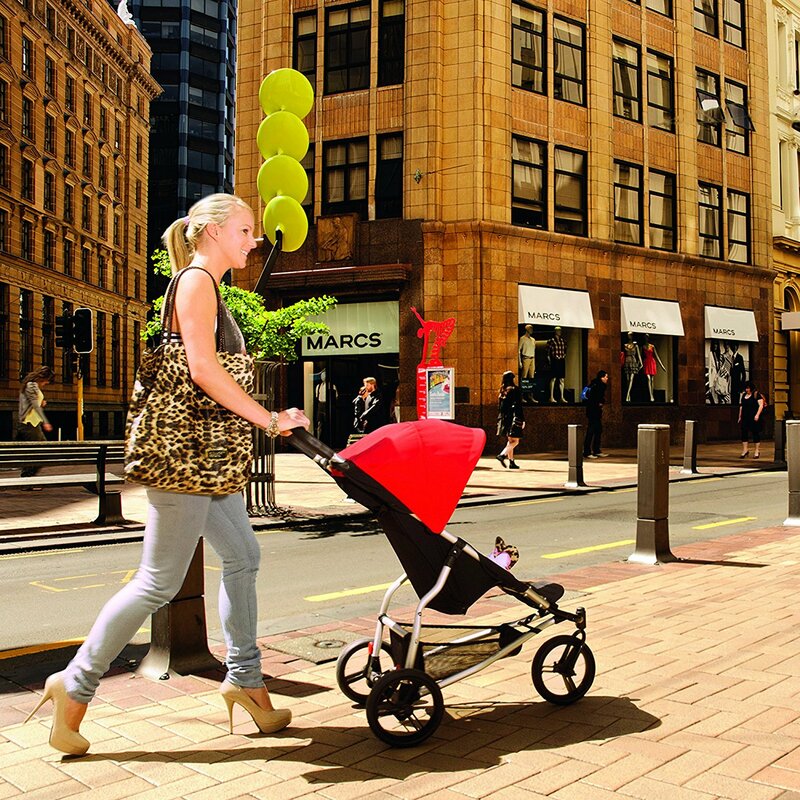 For city-dwelling families, this is the perfect stroller! Click on the following link to see the best umbrella stroller. The first few months after a child is born can be pretty exhausting for new mothers, and they need something that can lessen the strain a wee bit. Remember, after that small break that they get, they still need to travel, do errands and all the rest of it; to carry a toddler around can be strenuous. 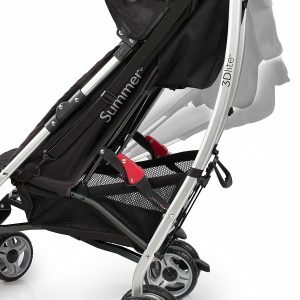 But it needn’t be that way, the First Years Ignite Stroller, which is stated to possess all the qualities of a “big stroller but with the advantages of an umbrella stroller” is touted to be a boon, and indeed many have actually found it to be so. 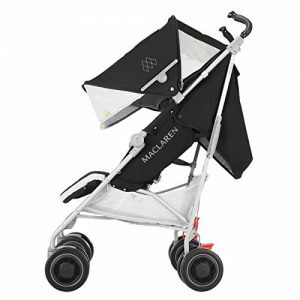 It has the qualities of a well-built umbrella stroller, nice build quality, a versatile product for an affordable price, and, for the most part, the reviews have been rather good. 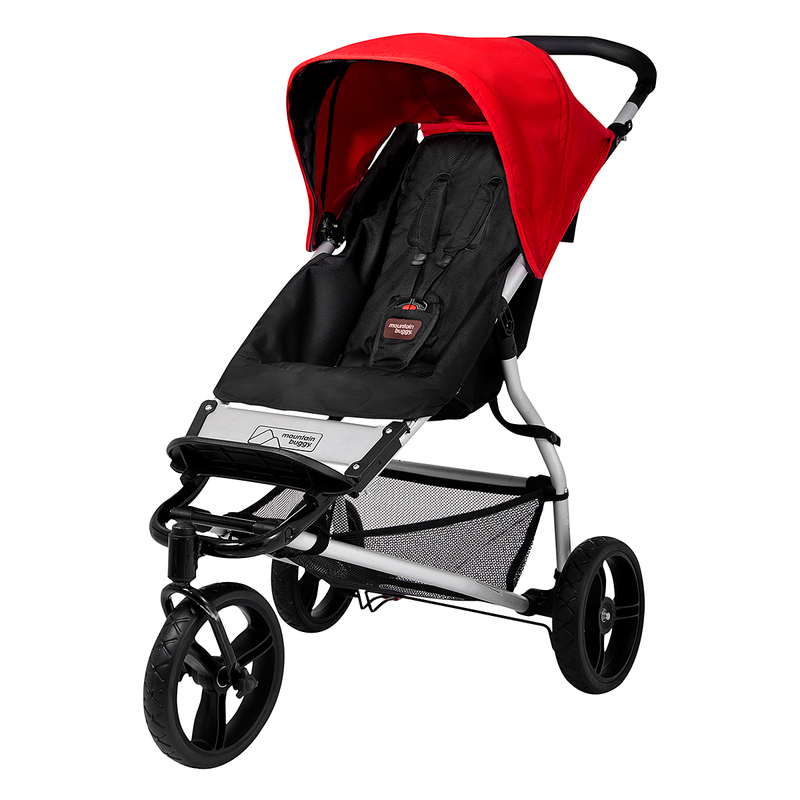 For starters, those who used the Ignite Stroller have found it easy and comfortable to handle. 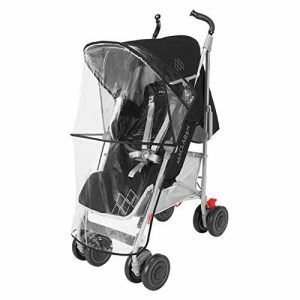 Tall people (who have found most umbrella strollers literally a pain in the neck) do not encounter a problem as it has handles that are specially designed for them that makes pushing the stroller, a breeze. The cup-holder and zippered pouch between the handles makes it very easy to store the phone, keys, and even wallet, so parents aren’t worried about misplacing these rather valuable and important items. 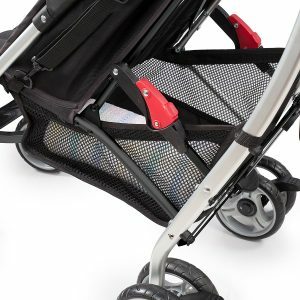 Also, the 5-point harness that keeps babies snug and safe and the sturdy wheels that roll and turn smoothly—are features that have found favor with parents. The storage space under the seat could be improved. For the price point though, parents have not complained about this too much as it holds everything they need for a quick jaunt to the park or a quick puddle jumper flight. The fact that the Ignite Stroller is small folds up easily and can be snapped open easily has been greatly extolled. 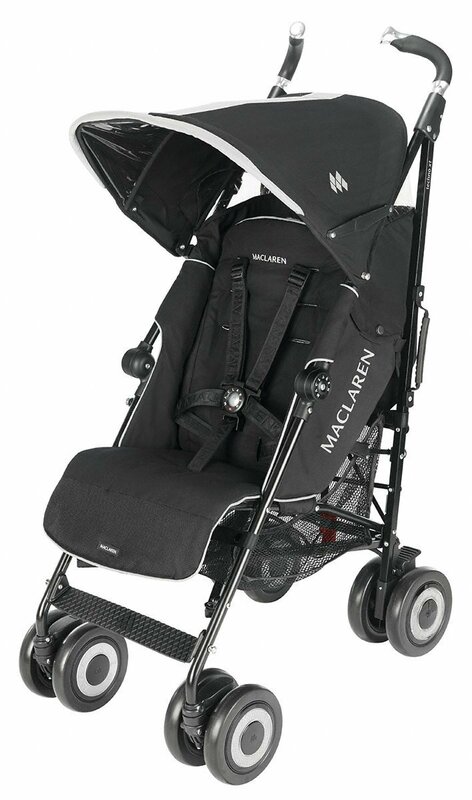 Most of the complaints about the stroller have been in regards to accessibility of the storage basket while the child is in the seat; the sunshade doesn’t tilt, and the recline isn’t much. These complaints are about accessories and since the overall look, feel, and drive of the scooter please parents, the complaints are largely ignored. When it comes to color, parents have been much been able to choose from a wide variety. 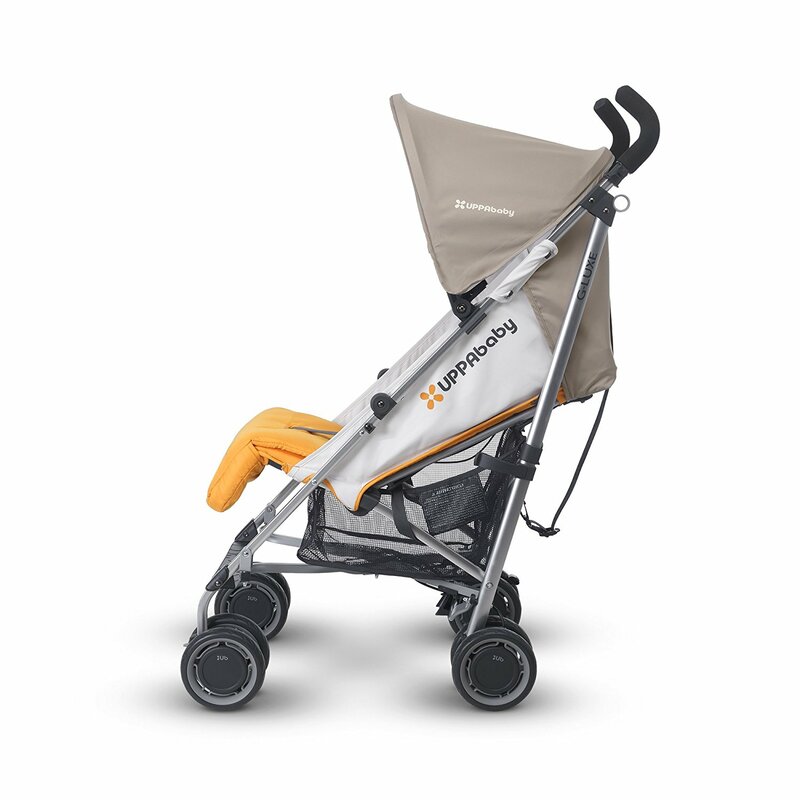 There are some really nice shades and patterns that are not available with the other umbrella strollers—another brownie point for the First Years Ignite Stroller. 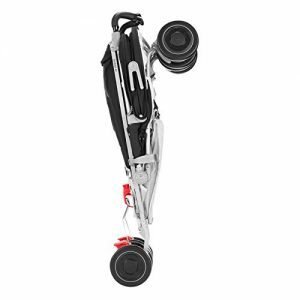 In short, despite the few rumbles that you hear, the Ignite Stroller seems to be the perfect option if you want something quick and easy without completely sacrificing quality. Parents have been known to travel to other countries with a toddler, and the Ignite Stroller has made life easier for them. In short don’t stop making travel plans because of the little one. 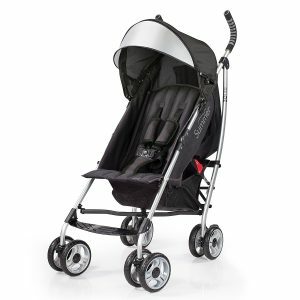 The First Years Ignite Stroller is a rather inexpensive option that will help you tour the city spots easily along with your child and have a nice time too in this bargain. Check out our other umbrella stroller reviews! Phil&Tedsis a New Zealand Based company established in 1994. 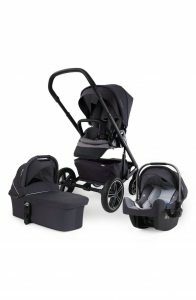 The company manufactures baby strollers, travel systems, car seats and feeding systems and sell them world wide. 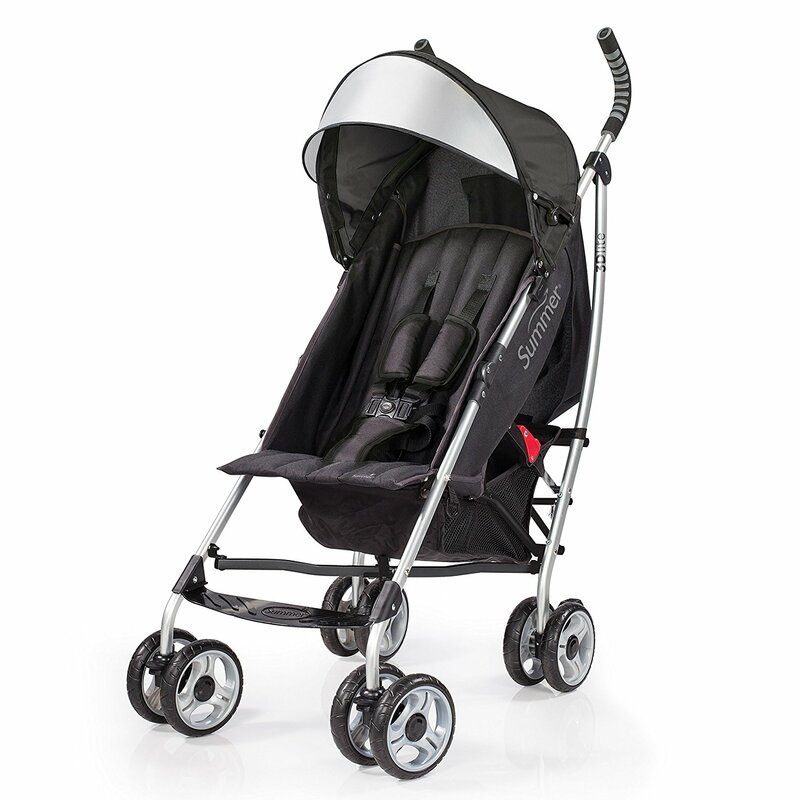 They are noted for their inline strollers which are sold in over 40 countries. 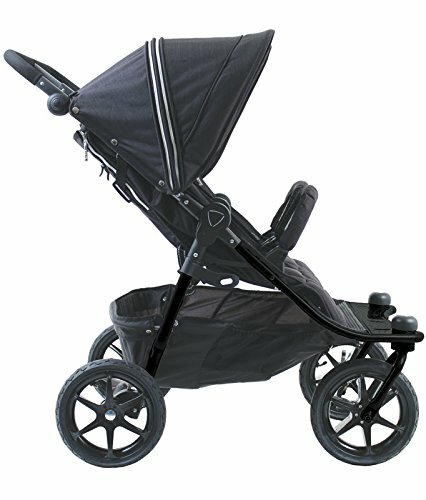 The Phil and Ted Vibe stroller is a very stylish baby stroller that can be easily adapted to an inline double stroller. It has three wheels with air-filled tires. There is an optional toddler seat and the stroller can accommodate newborn babies. Both the toddler seat and the main seat come with padded seat inserts for extra comfort. The phil & teds Vibe main seat is large and well padded. It can recline fully which makes it suitable for newborn babies. The bumper bar is easily removed and has a padded, zipped, removable cover. The footrest is made from plastic and is not adjustable. The optional toddler seat has limited recline movement. 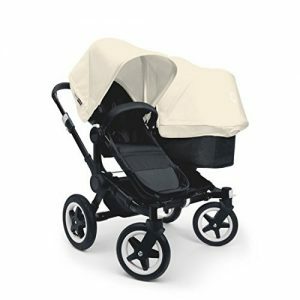 The hood is large and comes with a zip on the front for attaching different kinds of cover for the stroller. The hood is unusual in that it attaches to the frame and not to the seat. This actually helps as you can now adjust the height of the hood for taller children. The handle is padded and rounded and can be adjusted to three different positions. 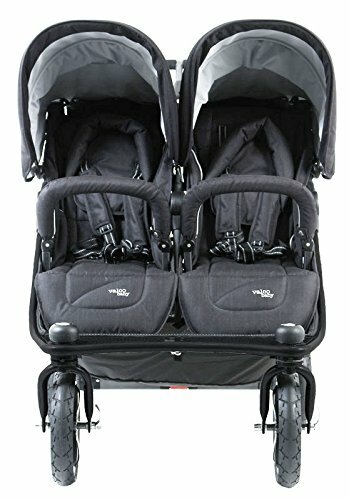 This is ample for any size of person and you will not be banging your feet of the stroller, even if the double kit is fitted. 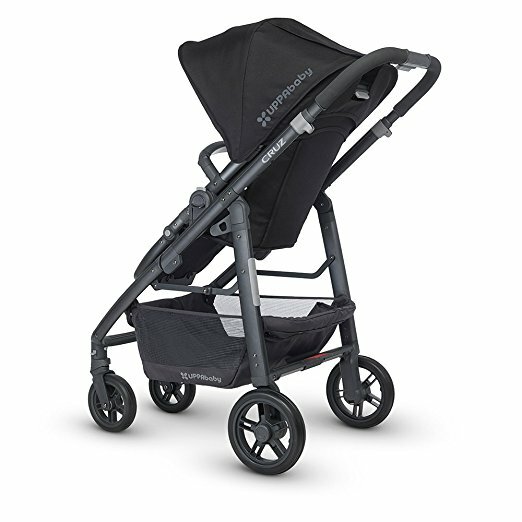 The brake button on the Phil and Ted Vibe is located in the center of the handle and this can be a problem when using one hand to push the stroller as you can inadvertently hit the brake button and lock the wheels. 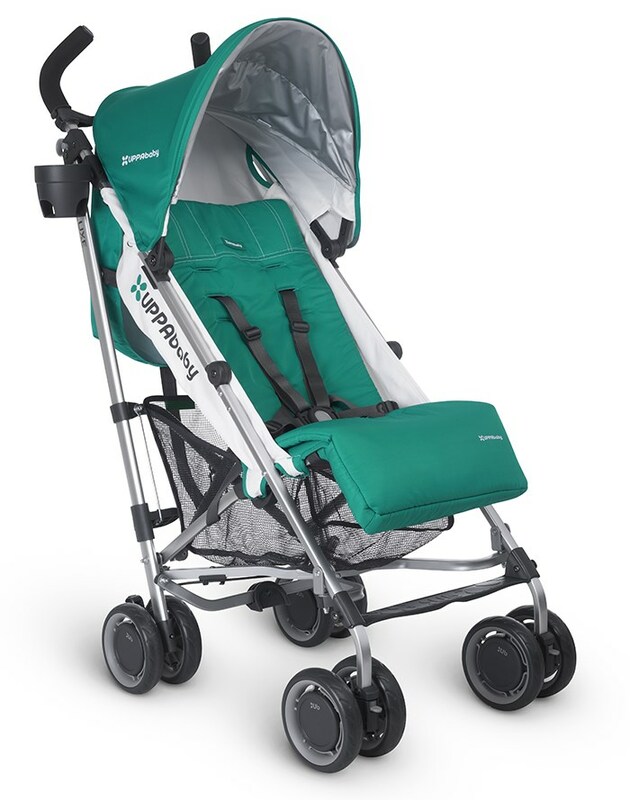 The brakes are operated in the same way as the Verve Stroller. There is a red button on the center of the handle bar. Pressing this button, applies the brakes. To release the brakes, you have to press a larger black button located in front of the red button. When folding the Phil & Teds Vibe 2012 stroller, there are some things you MUST do first. The handlebar must be in the most upright position (perpendicular to the ground). The front single wheel should have the side with the attachment bar on the outside. Put handle bar in the upright position. Undo the side locking clips. Lift the red lever on the side to start the fold. 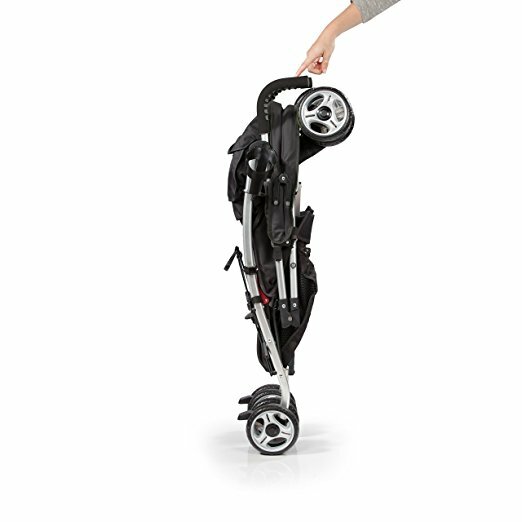 Fold so that the vibe stroller front wheel and handle come together. As the stroller folds, ensure the basket is above rear axle and the front wheel has the attachment bar on the outside. When the pram is fully folded you can fold the side lock clips back in place. If you have tucked everything where it is supposed to be, this fold is really easy. However if you ignore any of the three “must do” items above, it will not fold easily and will not lock into position. The toddler seat is small. I think this is the smallest Phil&Teds seat yet. In toddler mode the older child sits in the upright main seat while the younger child rides in the double seat kit at the back. The double seat kit is attached by linking the latches on the seat onto the black adapters on the back of the rear axle as well as having the arms of the toddler seat go under the black connectors and then you secure with the black buttons on either side. This is a little tricky and does require two hands to line up correctly. 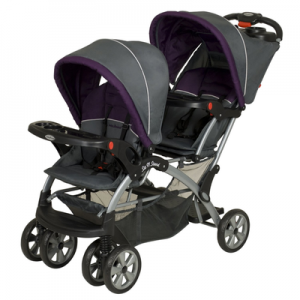 The double kit seat in the rear position will take a child up to 15kg or 33lbs. 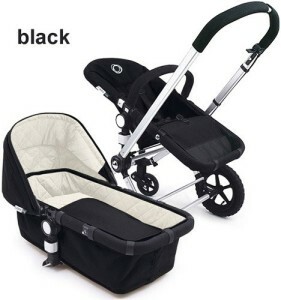 In toddler/newborn mode the main seat is fully reclined for the baby to lie flat and the double kit seat is attached up the front of the stroller for the older child. The double kit seat is attached with small latches which hook into the frame in place of the bumper bar. 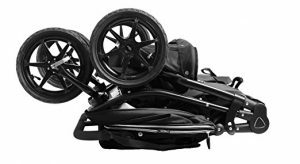 The double seat kit can attach to either of two positions on the front which gives the child below a bit more room if needed. The double seat in this position will take a child up to 25kg or 55lbs. Phil and Teds Vibe stroller is very well designed stroller with safety in mind. It looks good and it works as you would expect for a quality stroller. 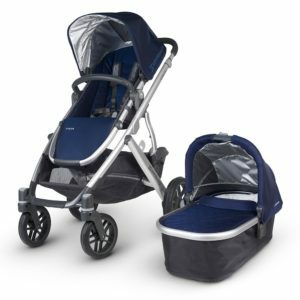 With the optional double kit, this stroller converts into a stylish inline Vibe stroller that is extremely functional and easy to maneuver. However when in double mode, the toddler seat is very small. One handed pushing can be difficult at times due to the position of the brake button. Although the fold is compact, it is complicated and must be done methodically for it to lock in position. One of the big advantages of the Phil & Teds Vibe stroller is that it is easy to convert into a travel system. It will accommodate a car seat for transfer between stroller and car. Phil&Teds is a New Zealand Based company established in 1994. 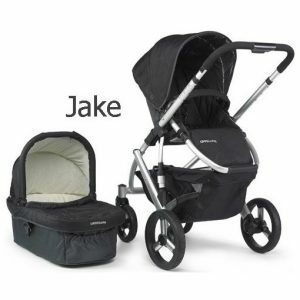 The company manufactures baby strollers, travel systems, car seats and feeding systems and sell them world wide. They are noted for their tandem strollers which are sold in over 40 countries. 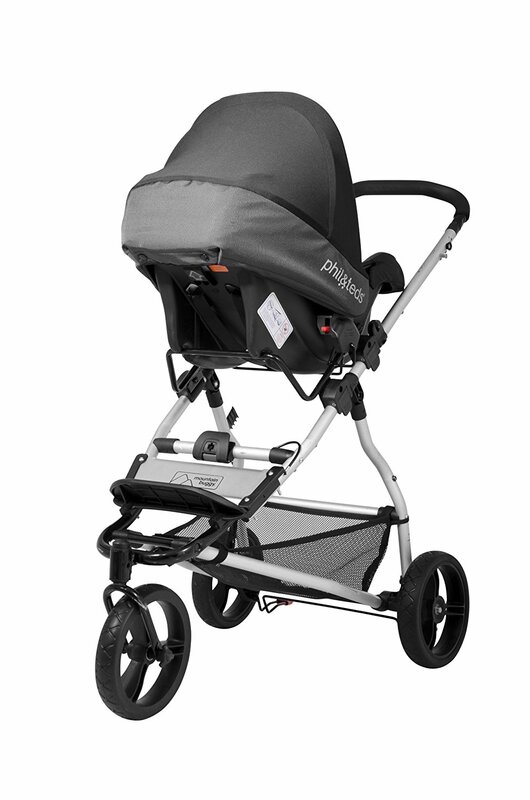 The phil&teds promenade stroller certainly is high spec and it is a luxury stroller. It is comfortable and practical in many ways. Although heavy, it is easy to maneuver. It has good suspension and wheels with mud guards. 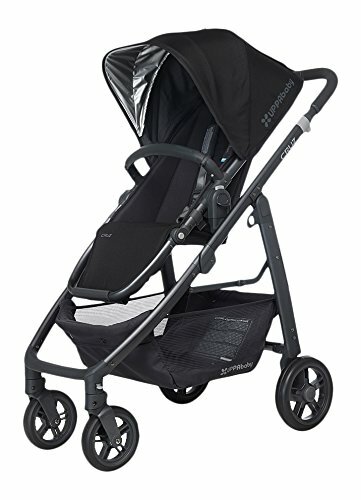 But this 2012 promenade stroller is lacking in some areas. 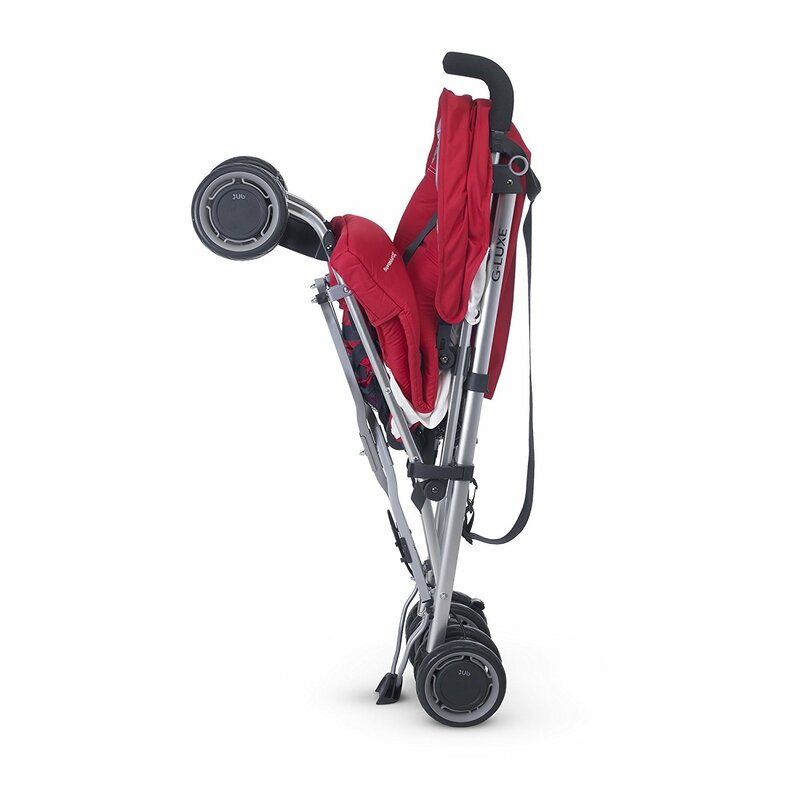 Phil & Teds Promenade stroller requires two hands to fold, but the fold is not difficult. It will probably not fit in smaller cars but if you have a large trunk then this is not a problem. 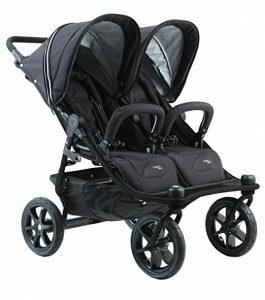 Phil and Teds Promenade stroller is not cheap, but you would not expect a stroller of this caliber to be cheap. 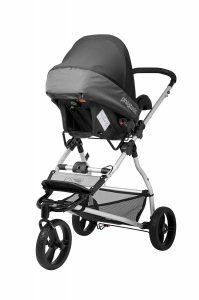 Overall, this stroller is well designed and has quality construction with a high specification and a good range of accessories. 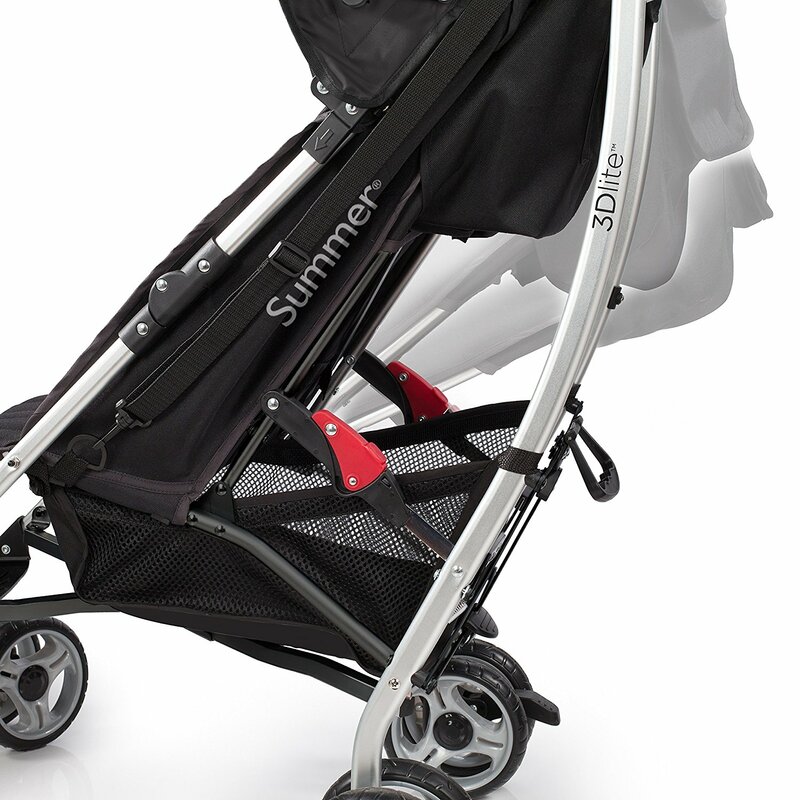 If you have the money, the Promenade stroller is good value and will last a lifetime for one or two children. As a relatively new company, UPPAbaby is already established and has made a very formidable reputation for itself. The company is recognized as producing well designed, high quality products that are stylish and practical. 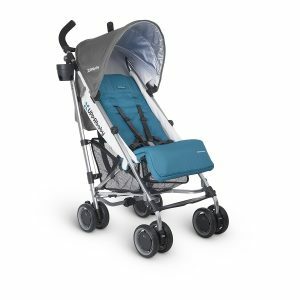 This deal is current as of December 2017 where you can save 20% on the Uppababy Vista 2016 at Pish Posh Baby. This deal won’t last long because it’s on 2016 stock so make sure that if you want a Vista or a Cruz, you act fast. 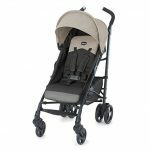 The UPPAbaby Cruz is a more budget friendly version of the UPPAbaby Vista. It would be more comfortable on city streets than rural areas. This stroller does not come with a bassinet and the Vista bassinet will not fit. Overall it is a lighter version of the Vista but it fills a gap in the market. However, it does have great suspension. This stroller is really maneuverable and quiet. It looks absolutely great and best of all, it has a massive 2.7 cubic foot cargo basket. 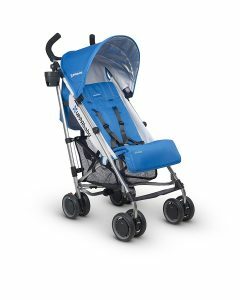 Although this is a great stroller to look at, I do have a few gripes (see below). Vista bassinet does not fit Cruz – Different frame sizes. Vista car seat adapters will not fit Cruz – Different frame sizes. I found the Cruz stroller very easy to push. Not only that, it was quiet and the 4 wheel suspension meant that the ride was very smooth. I was very impressed with this. It is also very maneuverable. At only 22″ wide, it fits into relatively narrow spaces. Taking this stroller shopping is a breeze. Maneuverability is comparable to the iCandy Peach and the Phil&Teds Vibe – https://philandteds.com/us/. The frame is made from aluminum. Folding and unfolding should be easier considering the price you pay. This is my pet hate about the UPPAbaby Cruz. Whenever I lift the stroller out of the trunk, I have to place it on the ground (sometimes wet, muddy, oily etc.) so that I can undo the clasp that holds it together. When it is raining or it is extremely hot, I really do not want to be doing this – especially with a 1 year old screaming in the back of the car. I should not have to put the fabric of my stroller on the ground. The stroller should at the very least, be capable of unfolding using one hand and the wheels should always hit the ground first. The seat looks great and comes in different colors. 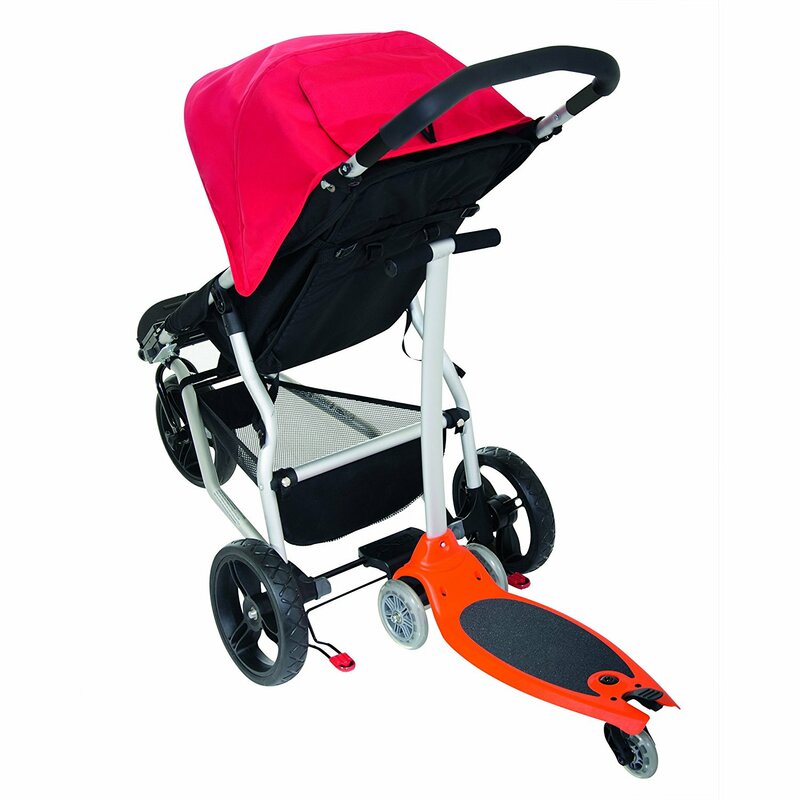 It is reversible and has an adjustable recline and is very easily adjusted using the handle at the top of the seat. However the safety harness caused me some concern. I could never get the shoulder harness tight enough. There was not enough adjustment and my baby was never securely strapped in (in my opinion). I like the canopy on the Cruz. It is large and adjustable for taller children. It also has a pull-out extension that provides SPF 50 sun protection. The cargo area in this stroller is one of the largest available. It has a volume of 2.7 cubic feet and is located under the seat. Like the UPPAbaby Vista Stroller, the Cruz has 4 wheel suspension. The wheels are made of foam and covered with rubber. This provides a nice, comfortable ride and they can never go flat so you do not have to carry a pump. The combination of wheels and suspension give a very comfortable ride. The brakes are very effective and are operated by pressing a crossbar (located between the rear wheels) with your foot. This is a very simple operation. However, if you take large strides, you will possibly hit your feet against this bar which would be very uncomfortable. Overall, this is a good stroller. However I just could not get to grips with the unfolding and this really bugged me. Also, the loose shoulder straps on the seat safety harness were an annoyance to me and I never was sure if I was doing something wrong. Having tried the straps in as many positions as I could, I never did rectify this problem. On paved surfaces, this stroller can be pushed with one hand but if you had two 45 lb children in the seats and the frame weighing 33 lbs then you end up pushing 123 lbs around and this would be a lot more difficult. The adjustable front wheels (see below) makes steering a lot easier. When in the “free to swivel” mode, it is very easy to steer on paved surfaces. The large wheels make the ride comfort extremely good, even over rough ground. 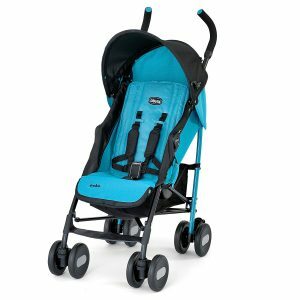 At 28″ wide, it fits through standard doors but it is still about 10″ wider than a single stroller such as the UPPAbaby Vista. which is produced by UPPA Baby. This can make it a little awkward in stores with small isles. Each seat has a metal footrest that looks great, is extremely sturdy and also easy to clean. All of the fabrics are designed to be easily wiped clean but I could not detach the fabric for washing. Each seat reclines from the fully upright position to the totally flat position. This is done by using a strap system at the rear of each seat. The seats can be set at any position (see Valco Baby Tri Mode Single Stroller). Folding is not simple as it requires both hands. However once you have done this a few times, you soon get the hang of it and it is quick. Like most double strollers, it takes up much more room than a single stroller when it is folded. Check the dimensions of your car trunk before you buy one to make sure that it will fit in your car. It is a heavy stroller but as it is actually more than a double stroller and is designed to carry up to four children, I think this is acceptable. The seats are a good size (see specification above). They are well padded and come with five point safety harnesses. The safety harness buckles are child proof so there is very little chance of a toddler accidentally or even deliberately unfastening them. The seats can be used for newborn babies when the “headhugger” infant head rest is attached so you do not have to buy the optional bassinet unless you wish to. The padded “headhugger” works really well and when your baby is approximately 4 months old, it can be easily removed. Each seat has a bumper bar. There is a small pocket underneath one of the seats at the rear and this holds a tire pump. Car seat adapters are available but they cannot be used if the toddler seat is attached. Only one car seat can be used at a time. See “Accessories” below. The toddler seat is optional but very practicable if you have three babies. 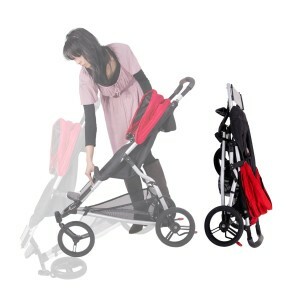 It is easy to attach or to remove and fits to the front of the stroller. There is an optional bassinet called a “husssh”. This is not a conventional bassinet but it converts the seat into a bassinet. I did not have access to the bassinet so unfortunately I cannot review it. Each seat has its own canopy and the canopies are very big. The canopies provide superb protection from the sun and the elements and each one has a viewing window. Attached by a zipper to each canopy is a decent size shopping bag. When these bags are removed, there is a large mesh viewing window which is also useful for seat ventilation when it is hot outside. The bags are very practicable and I use them a lot. They are easy to unzip but a little more fiddly to zip on again. The designers have thought about this and designed them to be also attached to the handlebar with straps attached to the bags. The shopping basket is probably my least favorite part of this stroller. The base of the basket is made from plastic and it is gradually stretching due to the folding process. I think that over time, the base of the basket will be very close to the ground. Although there are zips to help improve access to the basket, it is still very difficult. It is large but getting anything large into it or out of it is still difficult and this is mainly due to the structural frame bar that runs through the center of the opening for access to the basket. The Valco Zee Two has more accessible basket that is also larger. There are four, 12″ wheels. The tires are all inflatable and this really helps absorb the bumps making the ride much more comfortable. The handlebar is adjustable. Although it is not telescopic, it hinges up and down. This design is good and it works well providing and adjustment that ranges from 27″ to 40″ from the ground. It is very easy to adjust and will accommodate both tall and shorter parents. The brakes are similar to the Valco Baby Tri-Mode Stroller. They are foot operated and lock both rear wheels at the same time. 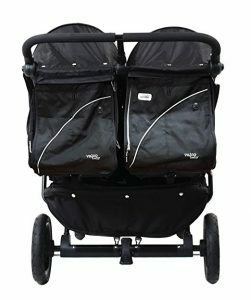 Of all the strollers we have used, the Valco Baby Twin Tri Mode Stroller Ex has to be one of the most versatile. We only tested it with two children but it can easily adapt to carry a third seat and a “ride-on board” for a 4th passenger. I imagine this would be very heavy with 4 on board but nevertheless, it is capable of doing all of this. Like the Tri-Mode Single, the shopping basket is not good and access was difficult. 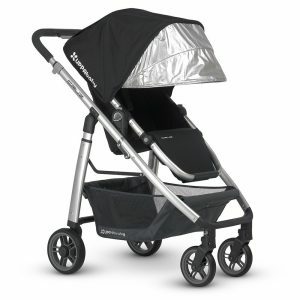 Maneuverability was good and it was very easy to push for such a heavy stroller. 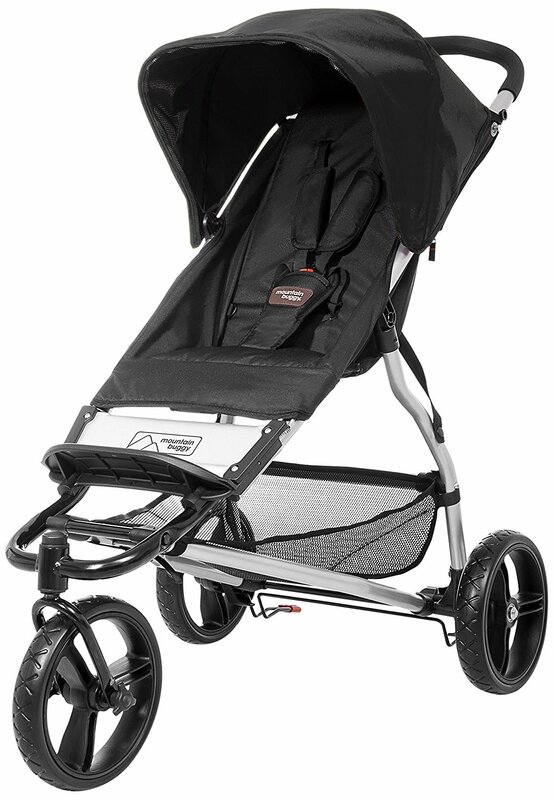 This stroller is designed with rough ground in mind and it handles rough terrain well. The hefty price tag is justified by its versatility.